These are great! I’m totally going to have these printed out. You don’t have to share all your ‘secrets’ but did you draw these or use a program? Either way, so talented! im not getting an email back and id love to have this calendar. I really appreciate you taking the time to let me know- sorry about the issue! I’m being told it is an anti-spam feature on the form that conflicts with autofill (ugh). BUT I’ve manually subscribed you and sent you the email with the calendar download! Please make sure colleen@lemonthistle.com is on your safe sender list so you receive future emails. There’s another freebie coming later this month! Hi! I really loved the calendar. Could you please send me the link? Thank you anticipating. Thanks so much! Right now the calendar is available exclusively for my e-mail subscribers. If you’re interested, you can sign up here. If not- it will be released to everyone later next week. If you’re having issues with the email subscribe, let me know and I’d be happy to help! I am absolutely in love with all these calendars, and when I read they were free I fell head over heals. I am eager to download them specially the Perpetual List one, but the links seem to not be working! I subbed to your website (Adore the name by the way!) I was just wondering if you could email them to me or get back at me once they are available here! I’m not sure if you typed these up or if you drew them, but you truly have a gift! Thanks so much Martina! I lettered the months myself and the rest is font. I’m so glad you like the Calendar! I just did a few tests and it seems to be working perfectly for me, I had it tested on a couple machines too (hurray for blogger friends on speed dial!). Just click the hyperlinked text (underlined) and it will take you to the media file where you can download it. Let me know if you’re having any more issues! Love these! 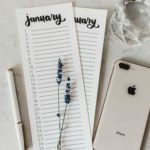 I have been searching for a really adorable looking printable calendar for a while now, and these are amazing, except that it keeps telling me that I have too many subscriber attempts for my email! Pls help! I’m having the same problem. I would love to be able to download and print these fabulous calendars! Hi I have subscribed twice but haven’t received an email yet. What would you suggest I do? Your handwriting is beautiful! Thank you for sharing your calendar with us. I just wanted to let you know that we are featuring the calendar tomorrow on Outside the Link Party. Have a great week! Thanks so much Megan! 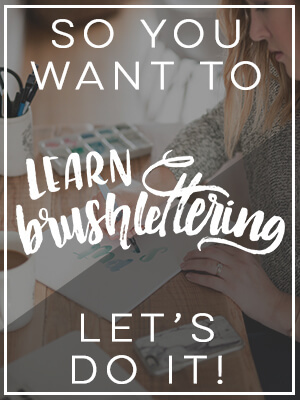 I’ve enjoyed learning a little bit about lettering- I’m so excited I’ve asked for a class on it for Christmas (I’ve got a good feeling it’s coming my way). Can’t wait for the party! I have tried yesterday and today to sign up and it won’t take my email address. :( How can I sign up? I signed you up manually and forwarded along your freebie! If you don’t see it in your inbox (or junk) in the next few minutes- let me know! Thanks so much Laura! What’s that saying… KISS? I signed up, but I haven’t gotten the email or the freebie. I LOVE IT, you’re so talented!!!! can’t wait to use this calendar! Thanks so much for the sweet words Devon! I manually subscribed you and shot you the welcome email- It told me you had already been subscribed so I’m thinking they’ve been landing in your junk folder. I’d love if you marked me ‘not spam’ so you can make sure you receive our next freebie in January! These are just exquisite. Thanks. Thank you Linda, what a compliment! Aah! Thank you so much for the sweet comment Tendel! I’d love to see an ‘in action’ photo if you print them up! I love all your lettering. Would love to get your newsletter, but it won’t allow me to subscribe..can you help? Thanks! Thanks so much Kristen! I’ve been working on my lettering so I’m thrilled to hear that. I’m sorry about the issues getting you signed up… I’ve manually signed you up and sent you the email for the free calendar. Please double check that colleen@lemonthistle.com is added to your safe sender list! I have a feeling the confirmations for getting you signed up were landing in your Junk. By marking it ‘not spam’ you’ll be sure to get your new email freebie (coming January!). Thanks so much for the sweet words Annabelle! I’m sorry about the issues getting you signed up… I’ve manually signed you up and sent you the email for the free calendar. Please double check that colleen@lemonthistle.com is added to your safe sender list! I have a feeling the confirmations for getting you signed up were landing in your Junk. By marking it ‘not spam’ you’ll be sure to get your new email freebie (coming January!). Hi Natalie! Thank you for taking the time to let me know! I’m sorry about the issues getting you signed up… I’ve manually signed you up and sent you the email for the free calendar. Please double check that colleen@lemonthistle.com is added to your safe sender list! I have a feeling the confirmations for getting you signed up were landing in your Junk. By marking it ‘not spam’ you’ll be sure to get your new email freebie (coming January!). Hi Patti! I’m sorry about the issues getting you signed up… I’ve manually signed you up and sent you the email for the free calendar. Please double check that colleen@lemonthistle.com is added to your safe sender list! I have a feeling the confirmations for getting you signed up were landing in your Junk. By marking it ‘not spam’ you’ll be sure to get your new email freebie (coming January!). These calendars are just so beautiful, looking forward to having the budget calendar in my home all year. However, I am experiencing issues with signing up to the newsletter. Each time I try to sign up I am getting an error stating that I have had too many attempts to sign up… even though I have not tried before! Looking through other people’s comments, this seems to be an issue that can easily be fixed, if you could manually add me. Thanks so much Jessica! The budget calendar was a lifesaver for us (now we just need to get back into using it for 2015!) I’m sorry about the issues getting you signed up… I’ve manually signed you up and sent you the email for the free calendar. Please double check that colleen@lemonthistle.com is added to your safe sender list! By marking it ‘not spam’ you’ll be sure to get your new email freebie (coming January!). Thanks so much! This is all done and printing right now! Yes! That makes me so happy :) I’d love to see a photo of it in action! Hi Caroline! Thank you so much for the compliment :) I’m sorry about the issues getting you signed up… I’ve manually signed you up and sent you the email for the free calendar. Please double check that colleen@lemonthistle.com is added to your safe sender list! I have a feeling the confirmations for getting you signed up were landing in your Junk. By marking it ‘not spam’ you’ll be sure to get your new email freebie (coming January!). I’ve tried to subscribe but it says there’s been too many attempts. Can you add me? Hi Melissa! Thank you for taking the time to let me know! I’m sorry about the issues getting you signed up… I’ve manually signed you up and sent you the email for the free calendar. Please double check that colleen@lemonthistle.com is added to your safe sender list! I have a feeling the confirmations for getting you signed up were landing in your Junk. By marking it ‘not spam’ you’ll be sure to get your new email freebie (coming January!). Hi Cass! Thank you for taking the time to let me know! I’m sorry about the issues getting you signed up… I’ve manually signed you up and sent you the email for the free calendar. Please double check that colleen@lemonthistle.com is added to your safe sender list! By marking it ‘not spam’ you’ll be sure to get your new email freebie (coming January!). I’ve checked with my email provider and we’re working on a solution to the issue… thank you for your patience! Wow, these calendars are AWESOME and I adore that lettering…you are so talented! Just signed on to follow and receive newsletters…can’t wait to see what’s coming! Thanks so much Judy! I really appreciate that :) I have a fun freebie planned for January for subscribers! Hi Kathy! Thank you for taking the time to let me know! I’m sorry about the issues getting you signed up… I’ve manually signed you up and sent you the email for the free calendar. Please double check that colleen@lemonthistle.com is added to your safe sender list! By marking it ‘not spam’ you’ll be sure to get your new email freebie (coming January!). I’ve checked with my email provider and we’re working on a solution to the issue… thank you for your patience! Hi Angie! Thank you for taking the time to let me know! I’m sorry about the issues getting you signed up… I’ve manually signed you up and sent you the email for the free calendar. Please double check that colleen@lemonthistle.com is added to your safe sender list! By marking it ‘not spam’ you’ll be sure to get your new email freebie (coming January!). I’ve checked with my email provider and we’re working on a solution to the issue… thank you for your patience! Also trying to sign up! Love love love the calendar!!! Got it! Love it! Thanks a bunch!!!!! I love this calendar so much!!! can you please help me to seubscribe? it’s show Too many subscribe attempts for this email address. Thanks so much Yen! I’ve manually subscribed you to the list and sent you the calendar… I really appreciate you taking the time to comment and let me know- I’m working on the issue with my email subscriber. Please make sure colleen@lemonthistle.com is added to your safe sender list. I want to make sure you receive your new January freebie coming soon!! Thank you for the awesome calendar!!!!! These are gorgeous- and perfect for incorporating bullet journaling into my planner. Sorry to be a bother, but would it be possible for you to manually add me to the list? It’s not allowing me to subscribe. Thank you so much! Thanks so much Alyson! 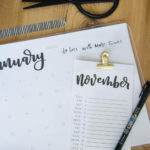 I’ve yet to start journaling (although it’s forever been on my list) and you’re right, this calendar would work so well for it! I’ve manually subscribed you to the list and sent you the calendar… I really appreciate you taking the time to comment and let me know- I’m working on the issue with my email subscriber. Please make sure colleen@lemonthistle.com is added to your safe sender list. I want to make sure you receive your new January freebie coming soon!! Hi Sydney, I’m so sorry for the issue! I’ve manually subscribed you to the list and sent you the calendar… I really appreciate you taking the time to comment and let me know- I’m working on the issue with my email subscriber. Please make sure colleen@lemonthistle.com is added to your safe sender list. I want to make sure you receive your new January freebie coming soon!! I see there’ve been a lot of subscription issues. Please add me to your mailing list manually when you get a chance? Hi Claire, Thanks so much for taking the time to let me know- sorry about the issue! I’m being told it is an anti-spam feature on the form that conflicts with autofill (ugh). BUT I’ve manually subscribed you and sent you the email with the calendar download! Please make sure colleen@lemonthistle.com is on your safe sender list so you receive future emails. There’s another freebie coming later this month! Hi Erin, Thanks so much for taking the time to let me know- sorry about the issue! I’m being told it is an anti-spam feature on the form that conflicts with autofill (ugh). BUT I’ve manually subscribed you and sent you the email with the calendar download! Please make sure colleen@lemonthistle.com is on your safe sender list so you receive future emails. There’s another freebie coming later this month! Your calendar is really beautiful… The problem is that it keeps telling me that I have too many subscriber attempts for my email! What should I do ? Hi Caroline, Thanks so much for taking the time to let me know- sorry about the issue! I’m being told it is an anti-spam feature on the form that conflicts with autofill (ugh). BUT I’ve manually subscribed you and sent you the email with the calendar download! Please make sure colleen@lemonthistle.com is on your safe sender list so you receive future emails. There’s another freebie coming later this month! Hi- I’m having the same issue, could you also manually subscribe me? Thanks so much, it’s so cute! Also… your site is so cute! I love the variety you have! I LOVE these! How do I download them? Thanks Ashley! The download is currently available to email subscribers. You can subscribe at http://lemonthistle.us8.list-manage.com/subscribe?u=5e958b74b288c14f24e78dc74&id=a00d2093d8 or let me know and I can manually add to the list! The calendar will be released for non-subscriber download later this month and the email subscribers will receive a new freebie! Yeah! 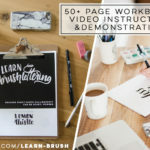 Finally, was able to subscribe using the “Get it Early” link in the sidebar (above right using this link… http://lemonthistle.us8.list-manage.com/subscribe?u=5e958b74b288c14f24e78dc74&id=a00d2093d8 ) after repeatedly getting the error message when trying to subscribe using the “Subscribe to our mailing list” section (above top.) Thanks for the freebies… <3 the hand lettering! Hi Keigh, YEAH! I’m so glad you were able to subscribe. I’m being told the issue has to do with computers that auto fill out forms- it makes the email provider’s anti-spam-bot unhappy (figures!) I’m glad that form worked better, I’ll update my post to direct readers there! Hi Nadine, Glad you like it!! Thanks so much for taking the time to let me know- sorry about the issue! I’m being told it is an anti-spam feature on the form that conflicts with autofill (ugh). BUT I’ve manually subscribed you and sent you the email with the calendar download! Please make sure colleen@lemonthistle.com is on your safe sender list so you receive future emails. There’s another freebie coming later this month! LOVE. LOVE. LOVE this calendar. You are very talented and I would so much like to print these. I, too, had issues subscribing however and have tried several times (with more than one e-mail address) throughout the day. Thanks for your help and thank you so much for sharing your art with us. Unable to subscribe, absolutely love the calendar designs. I really appreciate you taking the time to let me know- sorry about the issue! I tried to subscribe your email but see that you’re already on the list! Please make sure colleen@lemonthistle.com is on your safe sender list so you receive future emails. There’s another freebie coming later this month! If you didn’t receive the freebie already, let me know and I can send it to you from my personal email! Can you manually subscribe me so I get this cal? I’m getting a error message that I’ve tried to subscribe too many times when I clicked the subscribe button the 1st time. I love your calendar and even though I ‘m French , it ‘s the one I need. How do I have to do to get it ? Thank you and congratulations . I saw that you are subscribed to the email list- thank you! Let me know if you didn’t receive it and I’ll get it out to you right away. Such a cute calendar! I’m trying to sign up but it says I have too many attempts for this email. Can you add me to the list please? Love your calendars! Nice styling..nice options. Thank you for sharing your talents with us! One of my goals for 2015 is to improve my styling- so you’re making my day! The subscribe button is telling me “too many attempts” as well….would love the calendars for meal planning! Beautiful! Hi Amy, thank you for your kind words! I’m so glad you like the calendar… Meal planning would be a great use of them!! Ops, got the same error as everybody else :( Could you please manually subscribe me too? this calendar is lovely! Thanks for sharing. Thank you so much for sharing the perpetual list calendar! I printed one years ago and I write all the birthdays and anniversaries on it. I wanted a new one to update it but had trouble finding one. It’s great when you get a new wall calendar to fill in all the important dates! I print it on stock paper and punch a hole in the top to hang behind the wall calendar. Please manually add me to your list too – thank you! having trouble subscribing. I absolutely love these!! Simple yet effective! I’ve been trying to subscribe to your newsletter a few times, but it won’t work. Could you help me? 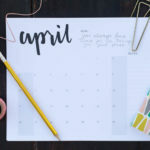 I’d love to receive these beautiful calendar pages and updates from your blog! Thanks Anja! The download is currently available to email subscribers. You can subscribe at http://lemonthistle.us8.list-manage.com/subscribe?u=5e958b74b288c14f24e78dc74&id=a00d2093d8 or let me know and I can manually add to the list! The calendar will be released for non-subscriber download later this month and the email subscribers will receive a new freebie! I am in love with your budget calendars! I have been trying to find ways to mange my household budget and like you, experienced a few issues. As I am a visual person, I’m confident these will help me tremendously this year! Thank you so much for taking the time to create these and share them with everyone! Also, I subscribed to your newsletter and am anxious to read more from you! Thank you so much Lacey! I just completed mine for this month and am excited to get back in the habit of using it. If you have any questions- let me know. This year I’ve decided to use different colour pens for expense and income as well as another colour for biweekly expenses (as opposed to ones set on a certain date). I just read some of the other comments and saw that it was related to the auto-fill stuff, so I manually typed my email in and it worked! Thank you so much! The calendars are beautiful!! Yes! I’m so glad Amberlee. Thank you for taking the time to do that, I so appreciate it! Sorry to add to the madness, but can you manually add me as well? Love your work and your site! Thanks much! And you didn’t add to the madness… I’m so happy the calendar will be put to use! Hello! It seems I’m having some trouble with the mailing list also. Please add me when you get a chance. Thanks so much Heather! We have ours on our fridge right now too- much better (and less obtrusive) than the store bought ones! Hi there, I keep getting an error message when I try to subscribe. Your calendars are exactly what I have been looking for for our fridge – I look forward to seeing more of your gorgeous creations! Hi, I really like this design and would love to subscribe to your lovely website, unfortunately i’m also having the same issue subscribing, would you mind manually subscribing me?? Thanks a lot! Hi, can you also send me these calendars? They are so pretty! :) I cannot subscribe with my email address too. I really like your calender and the rest of your page! Unfortunately I’m also having some subscribe difficulties. Could you add me to your list so i can download the calender? Thank you, these are lovely and are exactly what I was looking for! Hola intento descargar este calendario pero no me deja me dice que ya tuve muchos intentos y me marca error, de que otra manera puedo obtener el calendario? ME ENCANTA !! 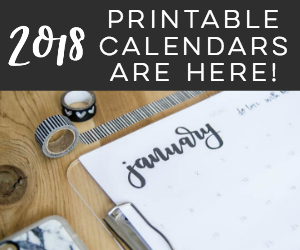 I absolutely LOVE your calanders- so classy and simple- but I have not gotten a confirmation email :( I would love to print these for my desk at home! Hello! This is just fantastic! Would you mind manually subscribing me/sending me the link to where I can download? Thank you! Can you please help? I would really like your gorgeous calendars. I was looking for a calendar for me to use in my binders (I’m a nursing student!) and these would be perfect for me! For some reason I am getting the same errors as others are – “Too many subscribe attempts for this email address. Please try again in about 5 minutes. (#8845)”. Please let me know if I am doing something wrong! Hi Colleen, i just wanted to say that your calendar is so lovely! Thank you so much Vera! I appreciate that :) Hope you get good use out of it! I love these, but unfortunately, I seem to be having trouble signing up as well. It tells me that there are too many subscribe attempts for my e-mail address. If it’s possible to be manually added to the list and to download the calendars, I would really appreciate it! I hope it’s not too much of a pain for you. BTW, I found your blog via Pinterest and am excited to go explore it some more! You do beautiful work! Hello! I am in love with your calendars! I was able to print out the budget one, but I haven’t received an email regarding the full calendar. I checked spam and saved your email. hopefully it comes in soon. thank you! Hi Nikki, I’ve re-sent the email over to you.. .they’re all on the same download page, just scroll down a bit further. Thanks so much for taking the time to comment! The subscribe button is telling me “too many attempts” as well….would love the calendars for monthly meal planning…Thanks!!! Could you please add me manually to the list (having the same issue, too many attempts)? Absolutely loooove the calendar, thanks so much! I really appreciate you taking the time to let me know- sorry about the issue! I’m being told it is an anti-spam feature on the form that conflicts with autofill (ugh). BUT I’ve manually subscribed you and sent you the email with the calendar download! Please make sure colleen@lemonthistle.com is on your safe sender list so you receive future emails. There’s another freebie coming Monday! Miss Colleen! LOVE the calendars. 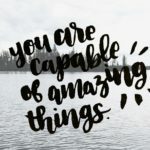 College student on a budget, must have these printables!! So cute! Are these still available? I love them – great design! I haven’t been able to subscribe, unfortunately. :( I keep getting an error message… It says something to the effect of – “too many failed subscribe attempts for this email address” – this is my first attempt & I even tried another email address w/ no success. really these are very attractive. I downloaded all. And, definitely I am going to print.thank you so much. Hey, I’ve been trying to download the calendar from your lovely website but doesn’t seem to let me do that! I’m so glad you like the Calendar! I just did a few tests and it seems to be working perfectly for me, I had it tested on a couple machines too (hurray for blogger friends on speed dial!). Just click the hyperlinked text (underlined) and it will take you to the media file where you can download it. I just subscribed to your email list. Can I have the link to dowload the calendar please ? Hi Diddee, First- thank you SO much for subscribing to my email list! I hope you enjoy all the goodies I have for you. The calendars are actually available to everyone now- the links are in this post. Just click the hyperlinked text (underlined) and it will take you to the media file where you can download it. Let me know if you’re having any issues! Hi! thanks for the budget calendar i hope you do these every year this will be my first year trying to organize and budget better this will help me stay on track. These are great! I’m totally going to have these printed out. You seem to be really talented! Thank you! You bet Alexandra! The links in this post will take you to the pdf that you can download and save! not allow me to download it. I just did a check and all the links are working in the three different browsers I have. I changed the colour of the links so they stand out- hopefully this makes it a bit easier to see where to click! I love these; I have been searching high and low for a printable calendar that I like and these are gorgeous. I’ve trying to print 3 to an A4 so I can pop them in my Filofax, any possibility of sending them over on word so I can stretch them as the boxes are quite teeny with lots of dead space top and bottom when I do that. 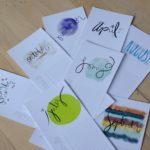 Thanks for such a great printable! Hi Freya, Not a worry- I’ll email them to you this evening :) Glad you like them! Thanks so much Sara! You can absolutely edit it, either in Adobe- just switch it to an editable PDF, or import it as an image to Word and add text boxes over top! I tried to sign up for your newsletter but I’m not sure if it’s going through! I will keep looking, but in the mean time if you could just double check that I’m getting added to it and receiving this download that would be awesome! Hi, I found this when looking for something to help organize my classes and it’s amazingly beautiful and useful, it really cheers up the day by day going to class! Hey, will you be making a 2016 edition? That would be perfect! p.s. – what font did you use?! O.M.G! The calendars are so beautiful! I’ll need it from 2016! You’ll make it? Please,please, please!!! Thanks so much Alba! I will definitely be making a 2016 version- hopefully before december this year! I absolutely love this! Will you be doing a 2016 one? It’s perfect for my blogging calendar! Thanks so much Saremaj! I will absolutely be doing one for 2016, and I’m hoping to have it done sooner this year… maybe early September! I absolutely love your calendar !!! I would love to have it for my 2016 weddings (I’m a wedding planner in france and Switzerland). Will you be posting it for 2016 ? Hi Laura! I’m so glad that you liked it, I am absolutely creating one for 2016. I am hoping to have it ready to go by early fall. If you sign up for my email list you’ll be the first to know! Good luck! They do take a little while to load as they are print quality. Hello, I love your monthly list calendar. Have you done 2016 yet? Do you have the 2016 budget calendars? Do you have these for 2016? I loved them in 2015!! These calendars are so pretty so thank you Collen!